We were promised top tips and advice to power up our PR and Amanda Ruiz Masterclass did not disappoint. 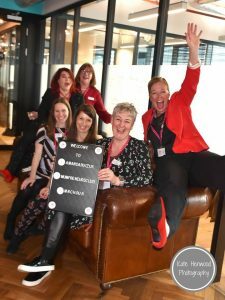 On Wednesday evening, at Mind Space in London, The Mumpreneurs Networking Club proudly sponsored this PR learning event. 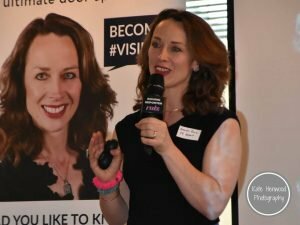 Amanda Ruiz has recently been voted the UK top PR advisor with Enterprise Nation and this event bought together her very considerable experience and that of journalist and writer Helen Croydon, to an audience of sole trading entrepreneurs and small businesses. Our top takeaway from Amanda’s presentation were her top 3 mistakes that most people make in their PR strategy. 1. Fear of self promotion! Be visible, on social media and at events. If you need votes for an award – ask for them. If you need to speak about your business then practise your pitch so you can easily deliver it. get your profile picture up to date. Be brave. 2. No press hooks! Read and watch the news, be a consumer of media in your industry. Find out what’s current and what the media are talking about so you can add value to these trending stories.and how can you help the dilemmas being talked about. 3. Going in cold! Find out who’s who in area of business – which journalists cover your industry, which newspapers or magazines are best for your line of work. Make sure you do your due diligence. When you’ve identified that follow the journalists, like and comment offer your advice on stories they cover – get to know them through their social media. So when you send that email or pick up the phone they are already aware of you and your expertise! 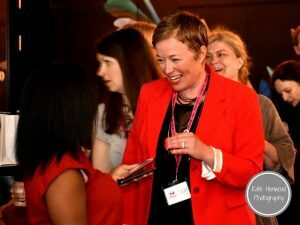 Helen Croydon held a live pitch clinic for the brave entrepreneurs who got an opportunity to pitch! Kate Henwood MNC Ambassador of Kate Henwood photography was first up, did a grand job and went away with Helen’s feedback to supercharge her PR.